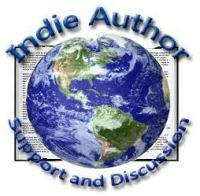 ← A Reader of Reviews of your Own Books: To be or not to be? This is a book that came to my attention via my IndieAuthorReviewExchange Fb group. The author, Katerina Sestakova Novotna, was born and raised in the Czech Republic. She lived in New York where she went to college. Currently she is living in Hawaii. She holds a Masters in Philosophy; her specialties are ethics and comparative philosophy. She has written numerous essays on those subjects. Her first collection of short stories “Hawaiian Lei of Shrunken Heads” is the subject of the following book review. This debut collection of short stories is the absolute epitome of originality and dark imagination; although there are only five stories here, it’s important to note that they are somewhat longer than the average short story, placing them almost in the mini novella category. Set on the island of Hawaii each story gives the reader an insight into the mythology and traditions of the indigenous population there, mixing it up with all the darker elements of psychology, comparative religion, and vengeful gods, along with the all too human traits and motivations of its modern day characters. Among these stories there are tales of human and animal sacrifice, the bigotry and bitterness of an old war veteran, the untimely end of foreign prostitute, and the equally strange and horrific conclusion to another foreigner’s stay in Hawaii. Some of the stories are written as a narrative, cleverly imparting information about Hawaiian folklore whilst still driving each story forward. Although each of these stories might well be described as dark with a touch of psychological and mythical horror about them, each one is unique in its presentation and theme, but with the common thread of Hawaiian culture and folklore as the vehicle for each tale. There is some mention in one of the early stories of there being no written text of Hawaiian beliefs as there is for Christianity or Judaism, but rather an oral tradition of such beliefs being passed down from generation to generation; the narrative style is in each case perfectly in keeping with this oral tradition, reading very much as you might imagine a tribal elder telling of the ancient stories and myths to an eager young audience, and in this respect the narrative style works extremely well. In others though, the author switches to very convincing and well written and sometimes explicit dialogue to advance the story, and amid the esoteric names and language associated with Hawaiian culture, the author maintains an authentic credibility with her use of some modern terminology and reference to some of the darker sides of modern culture.. These five stories were highly original and imaginative in the way they used island folklore as the framework for them, yet cleverly interwoven into present day themes and settings, they achieved a real believability that is sometimes missing in similarly themed stories. I would have liked a more definitive ending to some though as I did think in a couple of the stories, the endings were a little too open ended, leaving a tad too many unanswered questions, but overall these were five extremely entertaining and well written stories, well researched, and due to their longer lengths than the average short story, were able to really engage me in a way that that I find quite rare with short story collections. Highly recommended! Posted on January 12, 2015, in Book Reviews and tagged anthology, book review, Hawaii, horror, psychology, short stories. Bookmark the permalink. 10 Comments. Beautiful review, Paul, as usual. It sounds like something most people would enjoy… Thank you for posting! It’s good to read another of your reviews. This collection sounds intriguing and well-written. Hope you manage to get caught up. Finally getting on top of things again… and again, thanks for taking the time to comment on my reviews, always very appreciated! Thanks for this review – this collection sounds fascinating and well worth dipping into. Good to see you active again Paul and I hope all is good with you. This is another great, in-depth review which I’m sure Katerina will be pleased with. I enjoyed the collection for all the same reasons. Originality is the key to hold a reader’s attention some times and I believe that is the secret to what I enjoyed in these stories. Cheer Tom, everything much much better now!!! And yes, was very pleasantly surprised with this collection. Just a mountain of catching up to do now..lol.